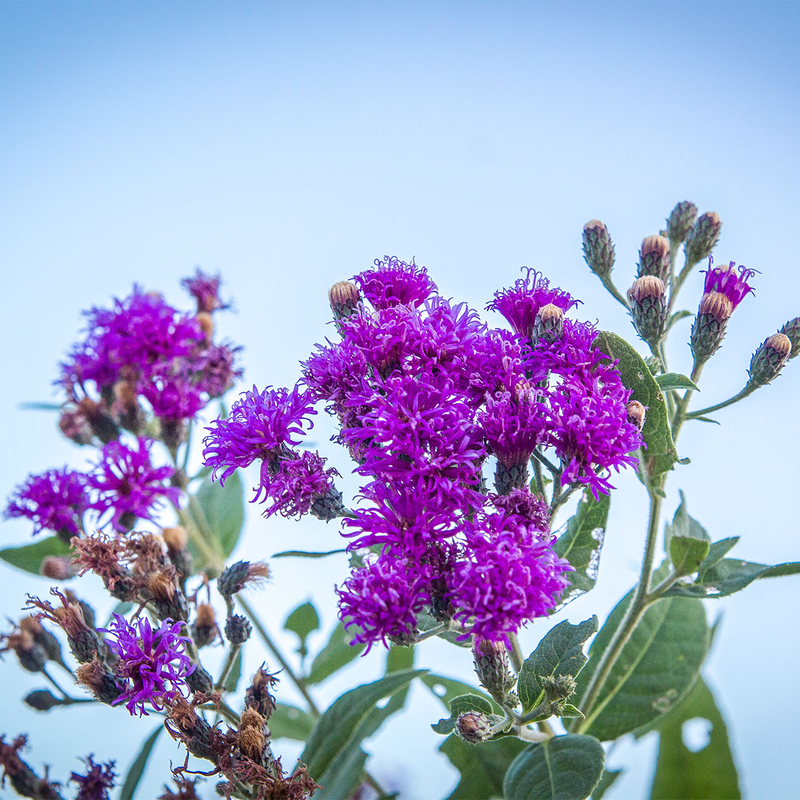 Ironweed has begun blooming in the fields near my late melon crop. It grows up tall and columnar, with clusters of dark purple flowers on top, standing out from the rest of the grass in the field. For bees, butterflies and hummingbirds, it's a source for food when everything else appears to have dried up. What seemed like nonstop rainfall from March to June flooded my crops, killing or stunting everything I planted in the spring. Even the wildflowers struggled. Indian blanket with its red and yellow flowers was a no-show. Sunflowers that should have been waist high only made it to a foot tall before flowering. 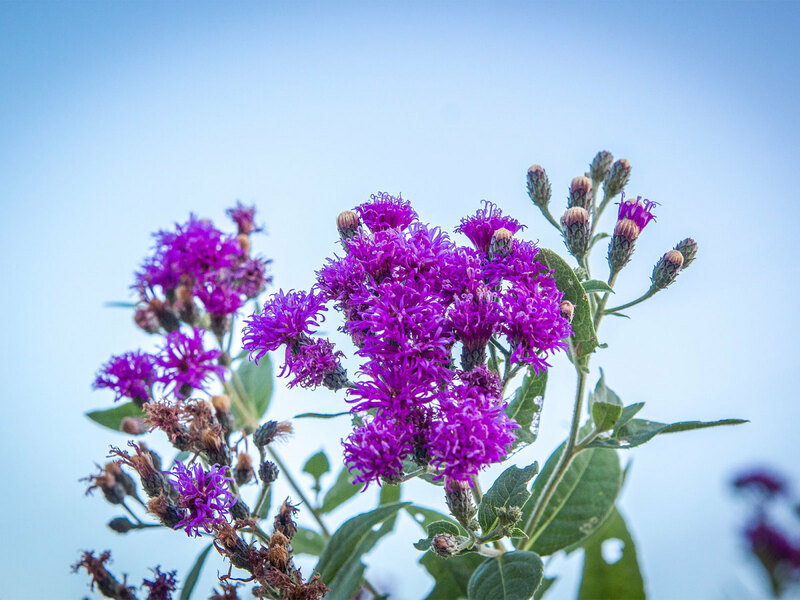 Ironweed is a perennial that comes back year after year from the same roots, and usually it blooms in late summer, a sign that fall is just around the corner. That it's bloomed early this year is a result of the weird weather, yet still it serves as a timely reminder that if I want kale, broccoli, carrots, sweet peas, cilantro or anything else that can't take the heat, I need to get started earlier too. Unlike past years, I have a lot more work cut out for me. The raised bed garden I was so proud of several years ago is now overgrown with weeds and failed crops. Each of the 30 raised beds takes about an hour to get back in shape. The first step is to weed the beds of the grasses that have reclaimed their place and established themselves where they once grew before my garden came along. 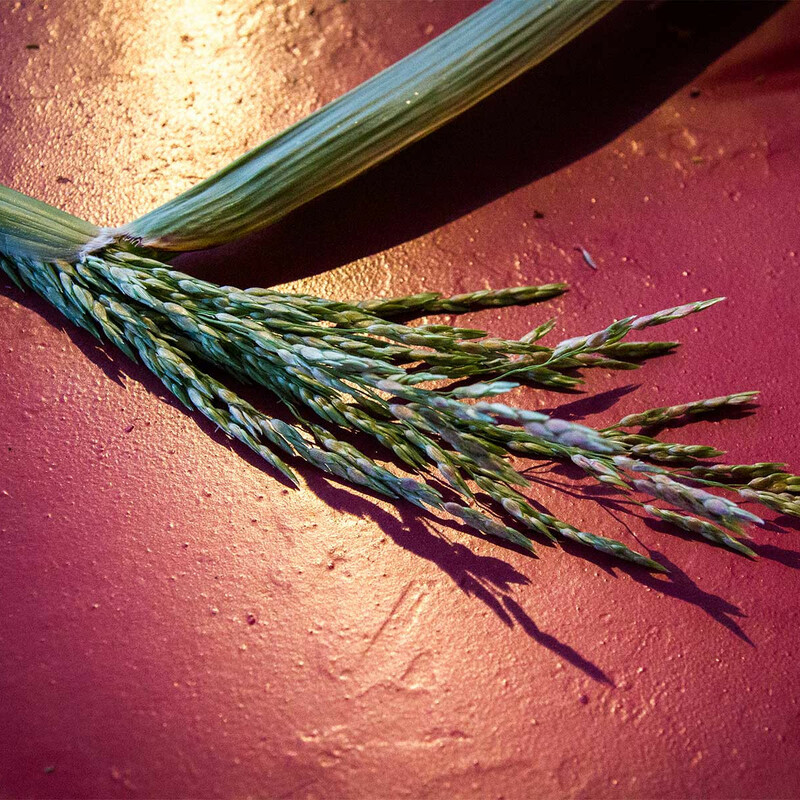 I don't use herbicides, so I tackle my weeds the way humans have for thousands of years: by hand. I need a clean slate, so I'm pulling everything up: grasses, a few sunflowers here and there, even the struggling veggies that just aren't worth keeping. The only exception is milkweed, which I leave intact for monarch butterflies. 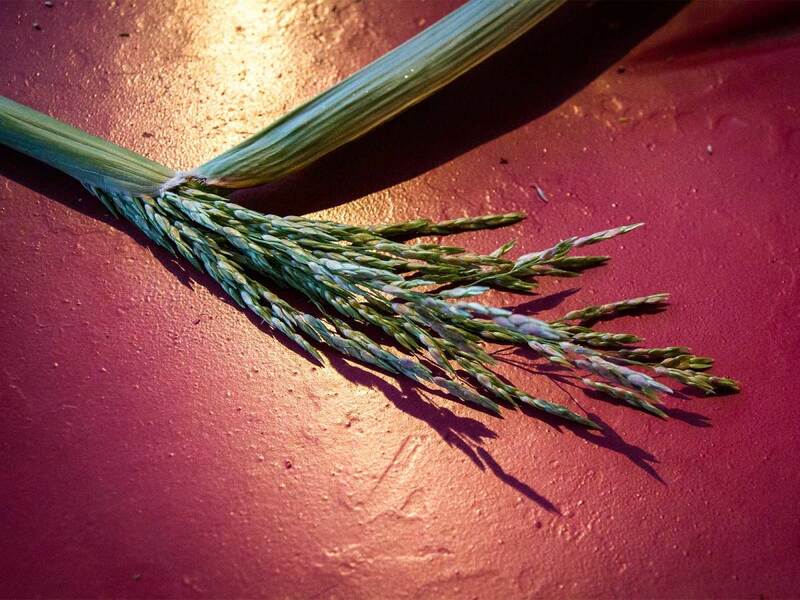 If the grasses have a fountain-like plume of seeds at the tops of their stalks, I toss them out of the garden — not even into a compost pile, because the seeds will likely survive and come back to haunt me next year when I use the compost. So I just build a pile of them outside my garden and let them break back down into the native soil. This also makes the seed available to doves, quail and any other seed-eating bird. All the other vegetation that I pull up I lay back down on the topsoil in the bed where it can be eaten by the sow bugs and colonized by bacteria and fungus. 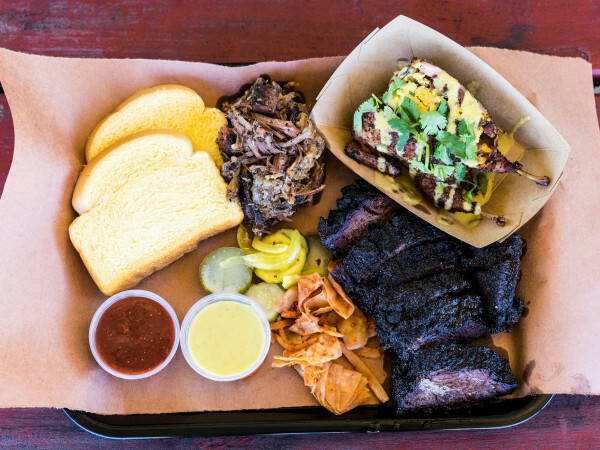 These break down the material and release the nutrients right back into the soil, also adding organic matter to the soil that will help with moisture retention and loosening the hard clay of North Texas. For weeds too big to pull up, like sunflowers that have put on a few feet of height, I use pruning shears to cut them down at the roots. There's no point in breaking my back just to pull up a huge root ball of soil. And when the roots begin to decompose, they create channels for water to seep deep into the soil, and places where fungus can grow, break down the roots even further and thus release plant-available nutrients right at the depth my new crops will need them when they send down new roots. This year, I'm trying out a no-till practice that should eventually free me of having to dig into the soil and turn it over each season. 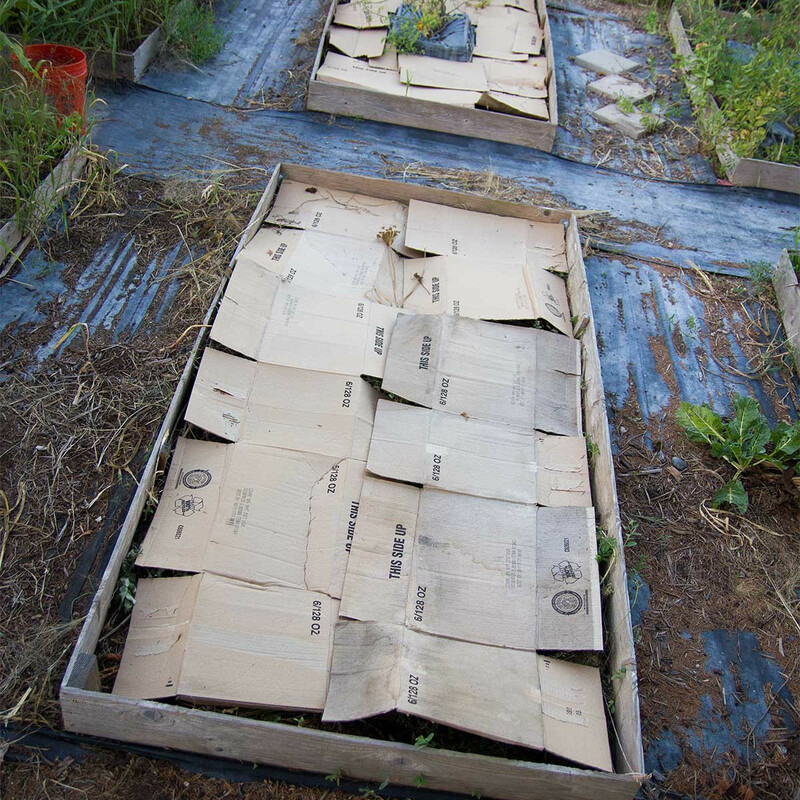 By covering my freshly weeded bed in cardboard and piling fresh compost on top, I should be able to keep it weed-free for the rest of the year. 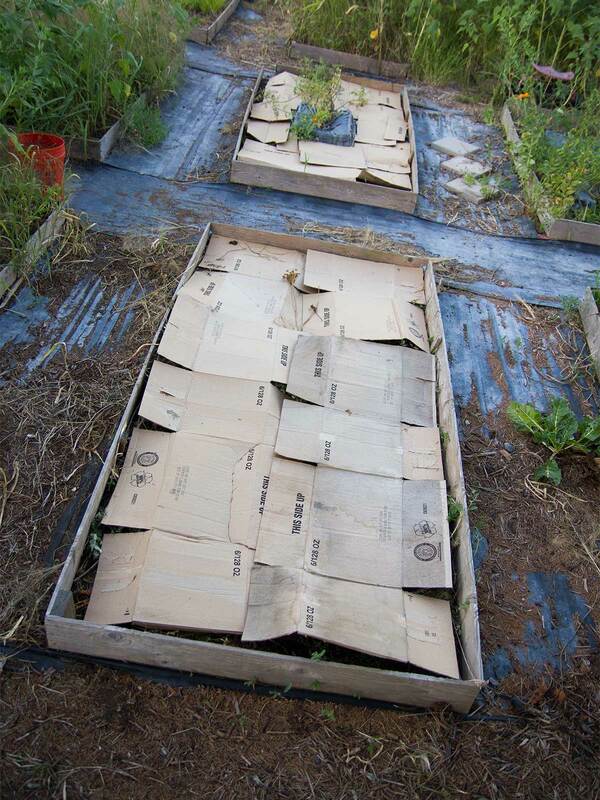 The cardboard will likely break down between now and September when I plant my cool season crops, but, if not, I can punch a hole into it wherever I transplant my seedlings. 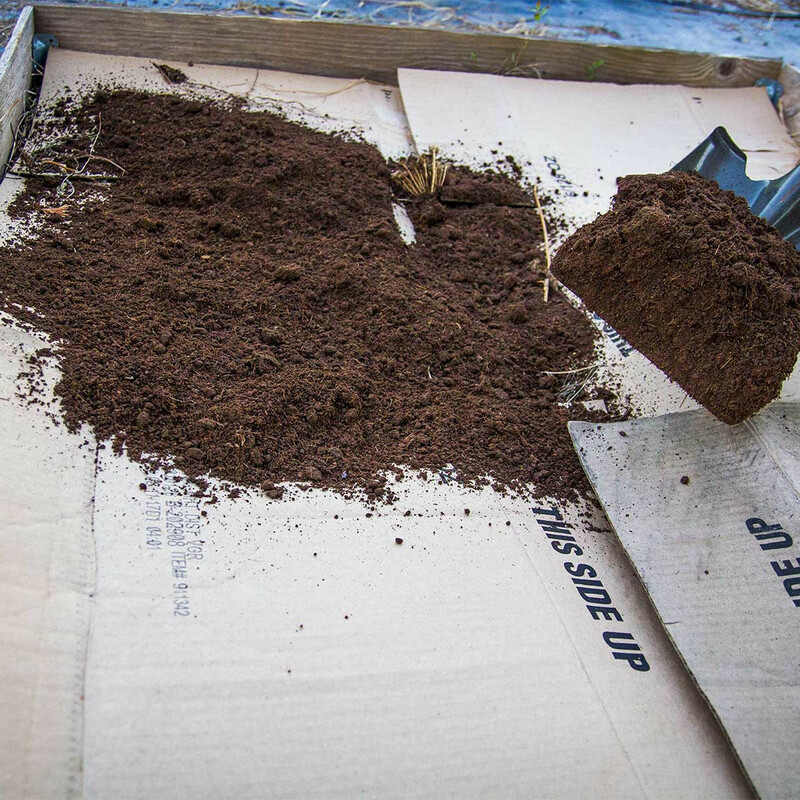 The layer of compost will stay loose and fertile, settling into place and creating a hospitable growing medium for fragile transplants in the fall. Once I finish covering them, the beds will need to be watered every few days, so that the earthworms and microbial life will have what they need. In a way, I'm assigning them the job tilling the soil and making it ready for my vegetables. I've unintentionally covered soil before and noticed the results, so I'm confident that this layering practice will work very well. The soil under a thick layer of fallen leaves, or an area under logs or where anything else has been piled up, stays moist and gets almost spongy over time. The tilth of such soil is exactly what we're aiming for when we till. 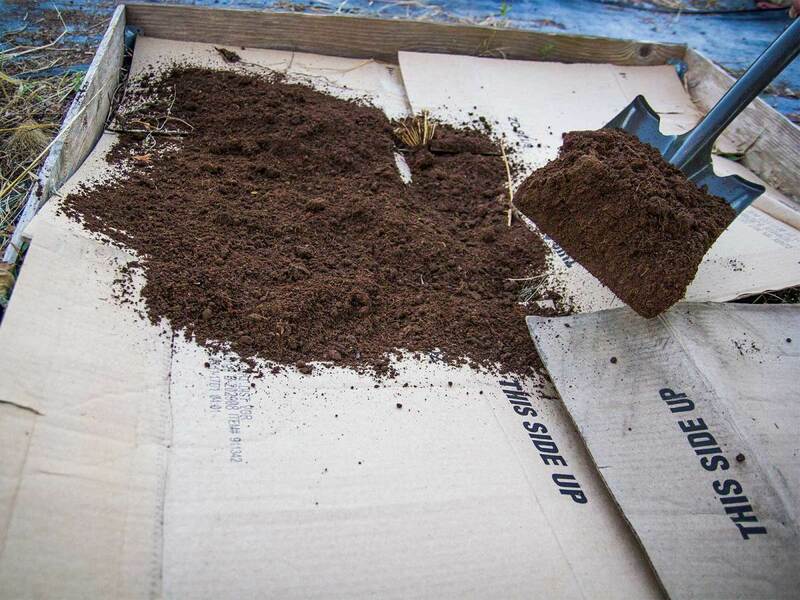 By planning ahead and starting now, I can prepare soil to be loose, fertile and full of intact colonies of the symbiotic fungi and bacteria that my cool-season crops will need to thrive — without hard labor.